A family in Pennsylvania are trying to pick up the pieces after a day care worker was caught on video apparently pushing their 4-year-old child down a set of stairs. The incident, which took place March 3, was captured on a newly installed surveillance camera at the day care center. The employee, 52-year-old Sarah Gable, is seen walking in front of the 4-year-old girl, only to then apparently push her down a flight of stairs at the Childcare of the Future Center in Upper Darby, Pa., WPVI-TV reports. After the apparent shove, Gable can be seen looking up at the surveillance camera and then becoming gentler, taking the child by her hand and leading her down the rest of the stairs, according to the report. However, the damage was already done. 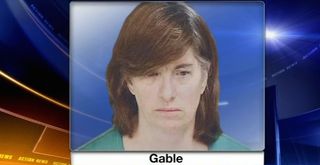 Gable was quickly fired by the center and was immediately arrested by Upper Darby police. She is currently free on $25,000 bail and has only been charged with nonfelonious crimes. The family of the victim, identified as 4-year-old Alayah Humphrey, has retained Philadelphia lawyer Brian Fritz to handle the case. Fritz suggested that Alayah, while not physically injured, suffered emotionally from the alleged assault. “Alayah and her family are basically trying to pick up the pieces. This is a little girl who was filled with smiles, promise and innocence when she was dropped off there on March 3 and is not the same girl that came home,” Fritz told the news station. Gable’s lawyer confirmed that he has already been negotiating with the Delaware County District Attorney’s staff, adding that a plea deal could be possible in the case. “I’ve been in touch with representatives from the Delaware County District Attorney’s Office already, and we have some very preliminary discussions underway,” Gable’s lawyer, Dan McGarrigle, said. Gable’s first court date is set for Thursday.